Feroze Khan is a new handsome actor, a brilliant model and also a former video jockey. People liked him due to his style. He started his career as a VJ after that he entered a Pakistani drama industry and got fame in a very short time. He started his career in 2014 as a television actor and Chup Raho on ARY is the first play with Sajjal Ali. According to Feroze Khan for a successful actor, a look is not mandatory but their talent that makes you a great actor. It is important to act well, don’t matter how you look. Humaima Malik and Dua Malik are also sisters of Feroze Khan. He was born on July 11, 1990, in Quetta. 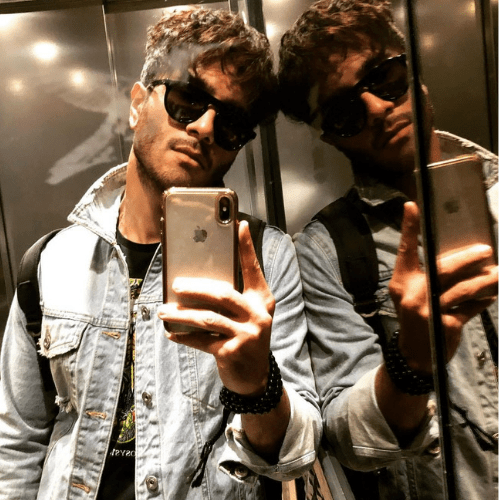 Feroze Khan is very close to his mother and sisters. He has done his graduation from the United Kingdom and was so passionate about the showbiz industry from childhood. 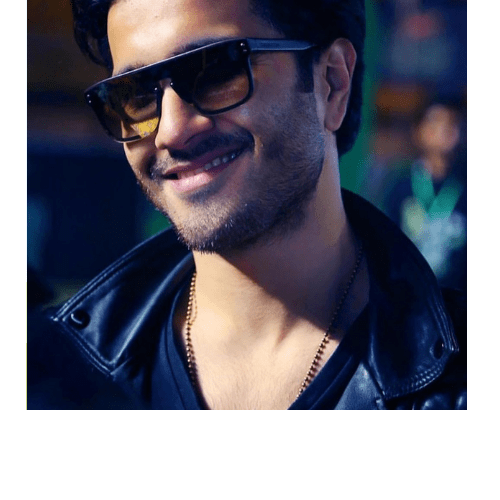 Feroze Khan proved his working that he is a multi-talented actor and has two siblings Humaima Malik, and Dua Malik. Humaima is also a beautiful actress of our industry. Dua Malik is married to a singer Sohail Haider. 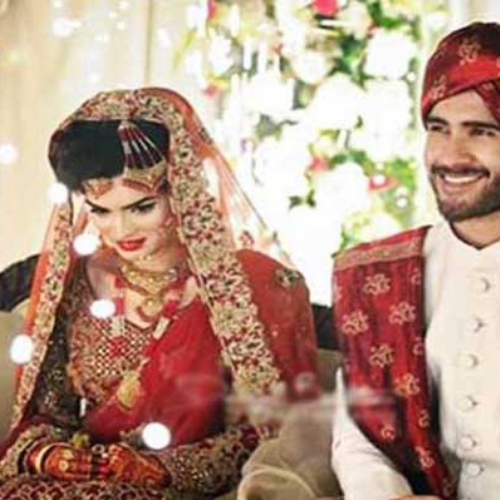 Feroze Khan married with Syeda Alizey Fatima Raza on March 27, 2018. He has already announced about a serious relationship and looking forward to getting married. The marriage is arranged and his wife belongs to Karachi. She wears a red bridal dress Pakistani designer Hassan Sheheryar Yasin (HSY) and Feroze Khan is in red and white attire. She is not a part of showbiz and both families have a good understanding. His family is so happy about his marriage. His sister Humaima Malik said she is so excited to be getting a Desi Bhabi who has not to do anything in showbiz and industry. He is a new upcoming and talented actor and model in the Pakistani showbiz industry. His style, handsome look, and style made the best place in the women’s heart and also has a big fan following. Feroze started his career by profession VJ. However also hosted many ARY music shows. He entered the drama industry in 2014. He is doing a leading role in drama serial Chup Raho on ARY digital. Another good play is “Dil Kiya Karey” is based on a love triangle between Feroze, Maryam, and Yumna. Shooting is doing this play in Karachi and produced under the banner of the 7th sky. Feroze Khan is also acted in many super hit drama serials. He has done versatile roles on the screen like romantic, negative and comedy. His famous dramas are Chup Raho, Tum Say Mil Kay, Gul–e–Rana, and Khaani. He is also acted a movie Zindagi Kitni Haseen Hay in 2016. Sajjal Ali is also a part of this movie. Feroze Khan and Sana Javed played a leading role in the hit drama Khani which is directed by Anjum Shahzad. He has won many hearts with his outstanding performance as Mir Hadi. In which he plays a young and hot guy role. The chemistry of role is based around the blood and love. Mir family plans to manage the damage that Hadi has done. She is also playing an ostensible character. The serial has been created new records of popularity and also viral on social media. 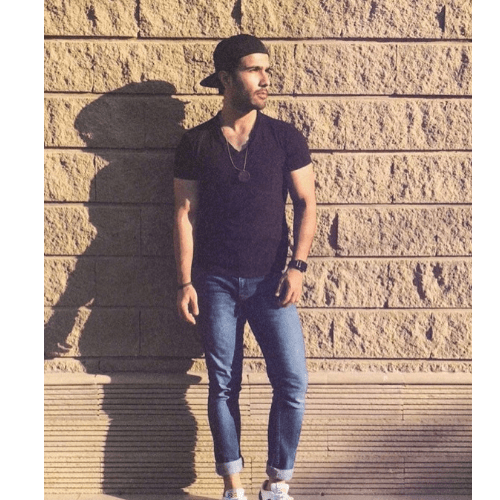 Feroze Khan is in the race of top models. He has also done many TV commercials and also engaged with different fashion designers and also done photo shoots for different designers. Feroze Khan worked as a model in music video Main Hosh Mein Tha by Sohail Haider. Sohail Haider is a brother in law of Feroze Khan. I would love to do TV and work with everybody. I think every specialist puts in their focal center in an undertaking. To me, in any case, the official and the gathering matters a ton, since they expect a huge activity in an assignment’s outcome and your own one of a kind execution. Shooting Zindagi Kitni Haseen Hai was a troublesome endeavor. I’ve never played a father on-screen and I have no such involvement with all (laughs). Our boss Anjum Shahzad is impressive at what he does, and I was extremely blessed to have him and diverse colleagues behind the point of convergence on board. I was again fortunate to have Sajal Ali as my co-star. It sort of gets to some degree straightforward, when you have mates around you. The story of the movie is that his character in the movie loves, caring and family oriented and also loved his children and wife. 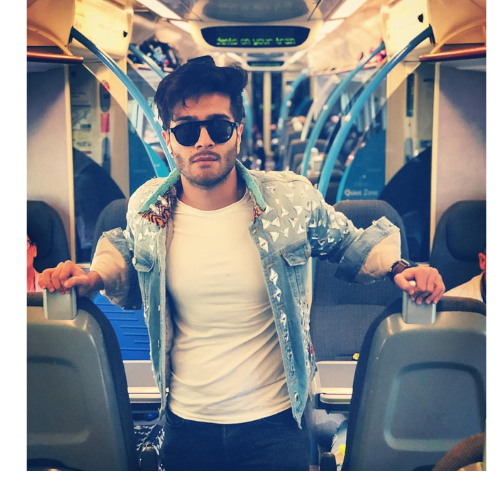 Feroze Khan is a struggling filmmaker and want to do something big and became proud of his father because his father wants to make a movie but he cannot do it and die. He is continuously trying to fulfill the father’s dream but his family faced some domestic issues. It is a very challenging project for me and I have done in my life.